Astara an open source network virtualization solution built by OpenStack operators for OpenStack clouds. Astara follows core principles of simple, compatible, and open development. The Astara architecture is broken down by describing the building blocks. 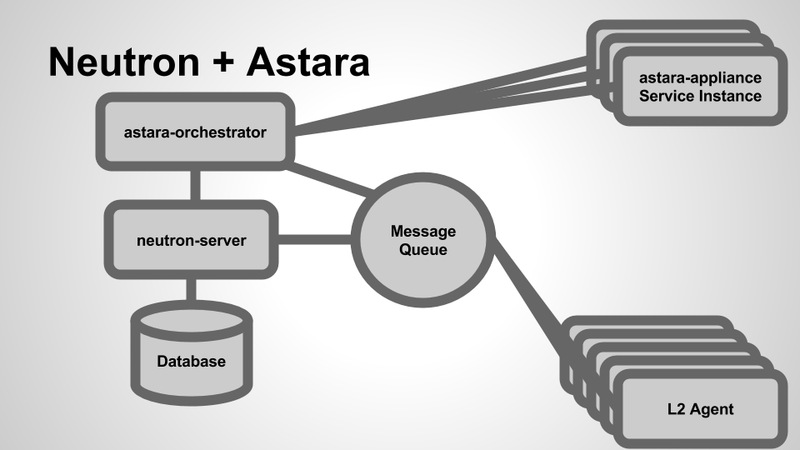 The most important of those building blocks, the Astara Orchestrator, is a multi-process, multi-threaded Neutron Advanced Services orchestration service which manages the lifecycle of the Neutron Advanced Services. Astara currently supports a layer 3 routing and load balancing. Astara will support additional Neuton Advanced services such as VPN, and Firewalls in the open driver model. Astara is a network orchestration platform that delivers network services (L3-L7) via service instances that provide routing, load balancing, and eventually more. Astara also interacts with any L2 overlay - including open source solutions based on OVS and Linux bridge (VLAN, VXLAN, GRE) and most proprietary solutions - to deliver a centralized management layer for all OpenStack networking decisions. Astara takes the place of many of the agents that OpenStack Neutron communicates with (L3, DHCP, LBaaS, FWaaS) and acts as a single control point for all networking services. By removing the complexity of extra agents, Astara can centrally manage DHCP and L3, orchestrate load balancing and VPN Services, and overall reduce the number of components required to build, manage and monitor complete virtual networks within your cloud. A service for managing the creation, configuration, and health of Astara Service Instances. The Orchestrator acts in part as a replacement for Neutron’s various L3-L7 agents by listening for Neutron AMQP events and coalescing them into software appliance API calls (which configure and manage embedded services on the Service Instance). Additionally, the Orchestrator contains a health monitoring component which monitors health and guarantees uptime for existing Service Instances. The software and services (including tools for building custom service images themselves) that run on the virtualized Linux appliance. Includes drivers for L3-L7 services and a RESTful API that is used to orchestrate changes to appliance configuration. Addon API extensions and plugins for OpenStack Neutron which enable functionality and integration with the Astara project, notably Astara router appliance interaction. 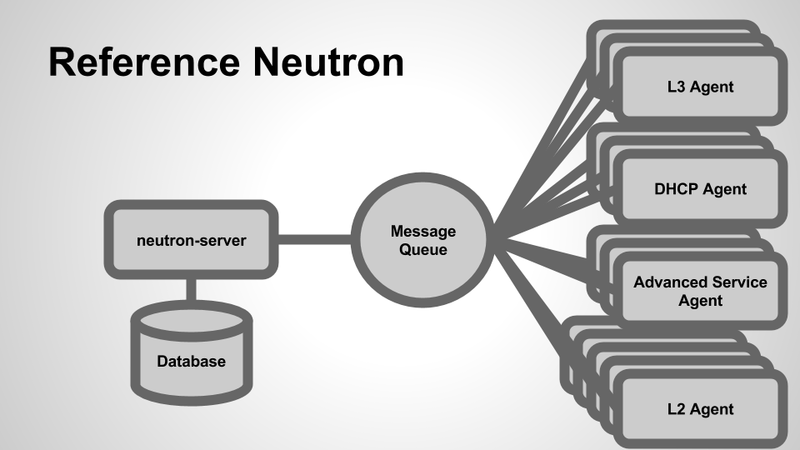 As Neutron emits events in reaction to network operations (e.g., a user creates a new network/subnet, a user attaches a virtual machine to a network, a floating IP address is associated, etc...), Astara Orchestrator receives these events, parses, and dispatches them to a pool of workers which manage the lifecycle of every virtualized appliance. Checking for aliveness of the Service Instance. Pushing configuration updates via the REST API to configure services (such as iptables, dnsmasq, bird6, etc...). Deleting instances via the Nova API (e.g., when a router or load balancer is deleted from Neutron). Astara uses Linux-based images (stored in OpenStack Glance) to provide layer 3 routing and advanced networking services. There is a stable image available by default, but it’s also possible to build your own custom Service Instance image (running additional services of your own on top of the routing and other default services provided by the project).